With great joy we look forward to welcoming The Reverend Todd B Jones as our guest preacher on the weekend of October 20-21. While a student at Princeton Seminary Todd came to the Basking Ridge Presbyterian Church as a seminary intern in the summer of 1977, and served with us for two years. In 1980 Todd was called to become a full-time member of our pastoral staff, was ordained a Minister of the Word and Sacrament in our sanctuary, and from 1980 to 1984 Todd served as an Associate Pastor for Youth and Education. Todd’s ministry is remembered with with gratitude and love! 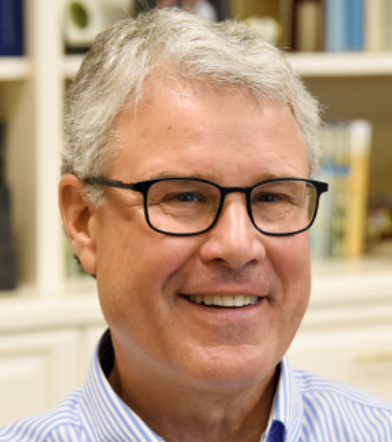 Upon completing his ministry at BRPC, Todd served as pastor of the Westminster Presbyterian Church in Columbia, South Carolina, and the First Presbyterian Church in Spartanburg, South Carolina. Since 2002 Todd has served as pastor of the First Presbyterian Church in Nashville, Tennessee. The congregation has 4,300 members, with mission giving in 2017 that makes it the most generous supporter of Presbyterian mission in the denomination. Since 1997, Todd has served as a Trustee of Princeton Theological Seminary. Todd is married to Connie King Jones, and they have four children and six grandchildren. Josh Jones, age 40, recently elected an Elder in First Presbyterian Church in Spartanburg, completed kindergarten at Oak Street School in Basking Ridge. Sarah, 37, was born in the summer of 1981, to the great celebration of the entire Basking Ridge congregation! Both Josh and Sarah have wonderful memories of their years in Basking Ridge, where high school students were frequent visitors in the East Allen Street manse. Please join us in warmly welcoming Todd back to BRPC on the weekend of October 20-21!